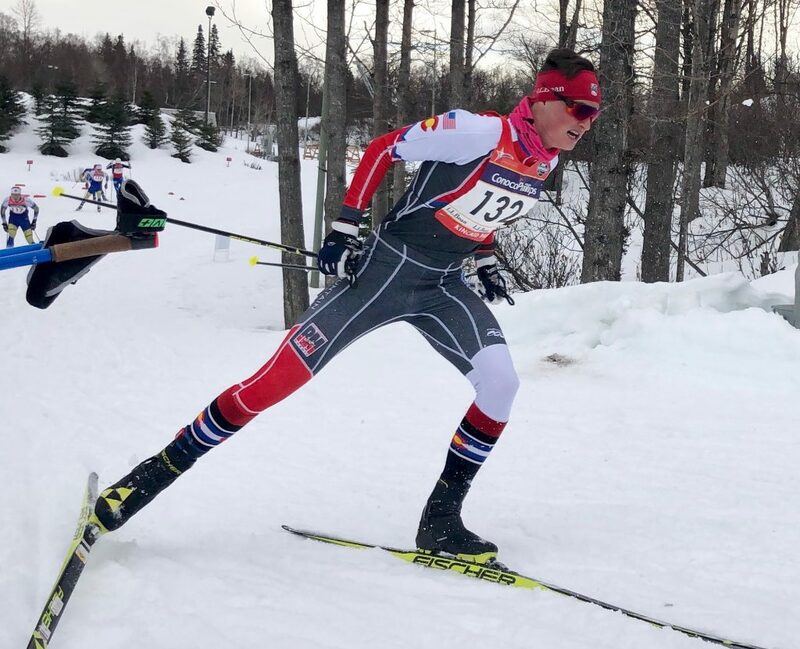 Cameron Wolfe at the U.S. Cross-Country Junior National Championships in Anchorage, Alaska, last week. Wolfe, 18, had the best results of his career at the event. Cameron Wolfe is well aware that in Nordic skiing, men often reach their prime later than other sports. So the 18-year-old Eagle County resident is keeping his options open as he prepares for his first year of college next fall, where he plans to compete for Dartmouth and study engineering. After putting together a competitive career in Nordic skiing while in high school, Wolfe was comfortable in the top 10, but not often a podium finisher. Then he showed up for his final U.S. Cross-Country Junior National Championships as a high school student last week and landed on the podium in the 15k classic mass start on Friday. Wolfe also finished just off the podium with a fourth-place finish in the 10k skate on March 11. With his top finish previously a seventh place effort at junior nationals last year, when he was competing in the U18 division, Wolfe may be turning a new corner in his career, said coach Eric Pepper. Wolfe said he plans to take a couple months off to play baseball for the Battle Mountain High School team which also recruits players from Vail Mountain School, where Wolfe is a senior. He’ll then start training for cross country again, where his goal for next season will be to make the Junior World Championship team in December.